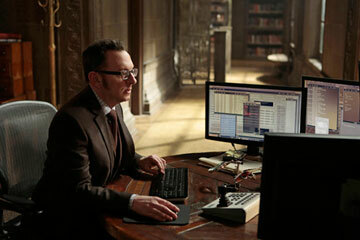 Giovanni Rufino / Warner Bros.
Computer genius Finch (Michael Emerson) is the father of a massive intel program in Person of Interest. The recent news about the government snooping into phone records and Internet communications may have come as a shock. It may, if you'd followed national-security reporting since 9/11, have been shocking only in its extent. Or you may have assumed it was going on all along, depending on how many TV spy shows you watch.